Judah approached Joseph and said: “I beg you, my lord, let your servant speak earnestly to my lord, and do not become angry with your servant, for you are the equal of Pharaoh. My lord asked your servants, ‘Have you a father, or another brother?’ So we said to my lord, ‘We have an aged father, and a young brother, the child of his old age. This one’s full brother is dead, and since he is the only one by that mother who is left, his father dotes on him.’ Then you told your servants, ‘Bring him down to me that my eyes may look on him. Unless your youngest brother comes back with you, you shall not come into my presence again.’ When we returned to your servant our father, we reported to him the words of my lord. Joseph could no longer control himself in the presence of all his attendants, so he cried out, “Have everyone withdraw from me!” Thus no one else was about when he made himself known to his brothers. But his sobs were so loud that the Egyptians heard him, and so the news reached Pharaoh’s palace. “I am Joseph,” he said to his brothers. “Is my father still in good health?” But his brothers could give him no answer, so dumbfounded were they at him. There is a very popular Russian fable about the story of a wild boar who was very greedy for acorns. And when it sees acorns, he will keep on eating and eating until he tears the roots of the oak tree. One day, the oak tree spoke to the wild boar and said, "You foolish boar. I am the source of your food, and if you keep on destroying my roots, I will not be able to give you your nourishment." A lot of times, we are also like the foolish boar. We are so greedy with a lot of material things that oftentimes, we are blinded by our own desires, by our own greed on a lot of things that we think will help us in our lives, things that we think will make us happy. But we know that God reveals Himself and asks us that we should look only on the source. Jesus is the source of life; He is the source of our faith. Jesus is the source of everything that we have. In the Gospel, Jesus Christ taught His apostles not to bring anything - no money bag, no sack cloth, no extra tunic. Why? 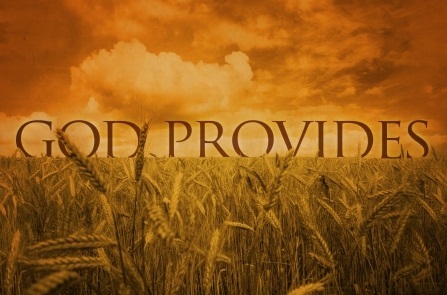 It is for them to rely solely on the source of everything, and that is God Himself. God has given us three gifts. First is the gift of fresh healing for repentant sinners. Second, deliverance from demons - the demons of doubts, of anxieties, of hopelessness. And the third is physical healing. God wants us to be holy; God wants us to be whole and integrated as one, as the Body of Christ is one. My dear brothers and sisters, we are always asked to look up to the source of life. Every time we hear some things that would remind us about God, especially here in the Church, it is a good reminder for us that we all belong to God, and that we are living our lives, not for ourselves, but for God. Let us not be greedy for the material things, but always look up to God - the source of everything. Amen.